From the moment you step on our lot until the time you drive away in your next car, your buying experience with Cliff & Sons Auto Sales is our number one priority. We strive to give you the best possible car to suit your needs. We promise to make your buying experience one to remember here at Cliff and Sons. We stand behind all of our cars 100%, and we would be happy to answer and questions you have! We encourage you to use the expertise and resources of our sales staff; they are here to help you find the right car at the right price. Call us today at 502-933-6266 to schedule your test drive! 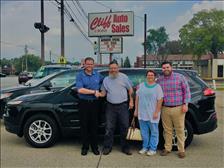 Cliff Geary is the co-owner of Cliff and Sons Auto Sales with his son, Josh Geary. Cliff has been in the car business for over 35 years now and has helped countless people get into the car or truck of their dreams. With his outgoing personality and his strong integrity, you can be at ease when purchasing a car from Cliff and Sons Auto Sales. With Cliff's honesty and humbleness you can be sure that you have made the right decision when coming to us! 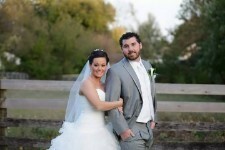 Please meet Josh Geary, he is the son of Cliff Geary, as well as co-owner and operator of Cliff and Sons Auto Sales. Josh strives to make your car buying experience hassle free. The moment you meet Josh, you will realize you have came to the right place. Josh is determined to give people the best deal he can, so that way you will become one of our many repeat customers. Come see the owner, Josh, at Cliff and Sons Auto Sales. Meet Bradley "Moose" Geary, Cliff's youngest son! Moose has been on staff here at Cliff and Sons since 2013. Come in and see why so many people prefer to deal with Moose and only Moose here at Cliffs. We can not wait to welcome you guys to the Cliff and Sons family! Words cannot describe how thankful we are to have Nita as a part of the staff and a part of the family. Nita has been in the car business for over 17 years now. She is our controller and title clerk here at Cliff and Sons. Nita is a proud mother of four children: Denny, Josh, Samantha, and Brad. She is the spouse of the owner Cliff Geary. She also does a great job of putting up with, and keeping all the guys in check here at Cliff and Son's. Cliff, Josh, and Bradley are very grateful to have a wife and mother that gladly sacrifices her time not only at work, but also at home, just to make sure everything is going as planned. Thank you Nita for the amazing job that you do. Clyde is a jack of all trades. Whether it is repairs, building, or welding; Clyde has got it covered. Clyde has always been apart of Cliff and Sons, and helps out tremendously. Clyde is the hardest working man you will ever meet in your life. You may see Clyde at our welcome desk here at Cliff and Sons, and what a warm welcome he will give you. Thank you "Papaw" for all you do!